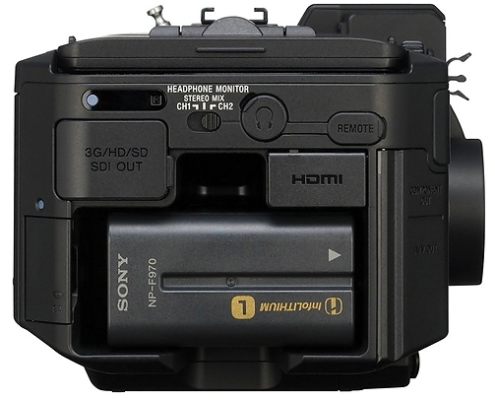 The Sony NEX-FS700R Super 35 Camcorder body is an update to Sony’s NEX-FS700U that enables 4K/2K 12-bit RAW output and S-Log2 recording capabilities. It retains all the features of the NEX-FS700U, including the native 4K sensor, Super Slow Motion recording, built-in ND filters, and CineGamma curves. 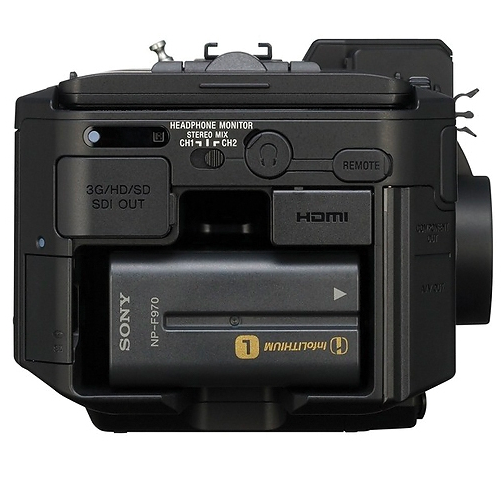 4K/2K RAW is recorded to the Sony AXS-R5 Recorder via the HXR-IFR5 Interface Unit, or to compatible third party recorders such as Convergent Design’s Odyssey 7Q via the 3G/HD-SDI output. The HXR-IFR5 Interface Unit and external recorders are sold separately. 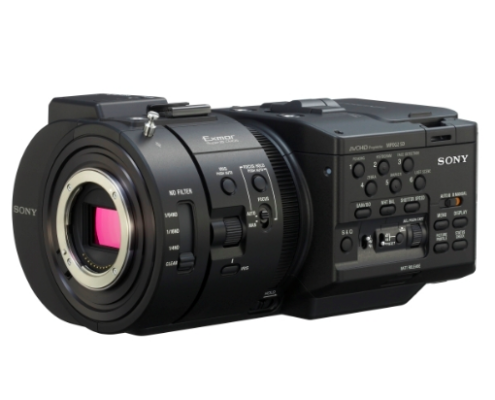 The Super 35mm sized sensor on FS700 R matches that of standard film and digital cinema cameras. It accepts interchangeable E-mount lenses, as well as a variety of 35mm SLR and DSLR lenses and professional cinema lenses with the use of optional third party adapters. 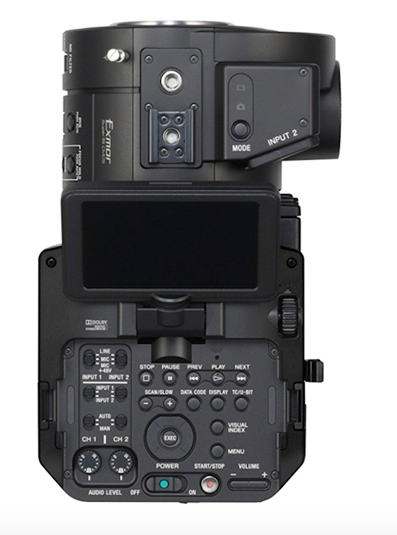 On-board, the NEX-FS700R shoots full 1080p video in a range of frame rates up to 60p, with bursts of up to 240 fps in full HD resolution and 960fps at lower resolutions. When used with the HXR-IFR5 Interface Unit and AXS-R5 Recorder, you can record continuous 2K RAW at up to 240fps and 4K RAW at up to 60fps. 120fps 4K RAW recording is possible in 4 second bursts. 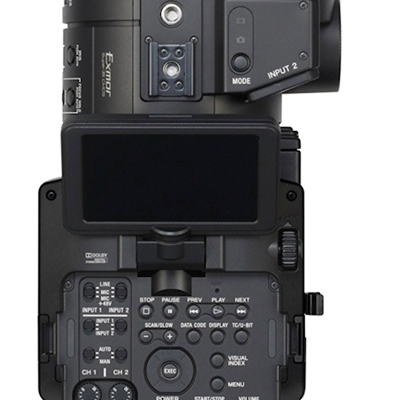 This makes the NEX-FS700R a high-speed, 4K camera ready for professional shoots such as indie films, commercials, corporate videos, and music videos. 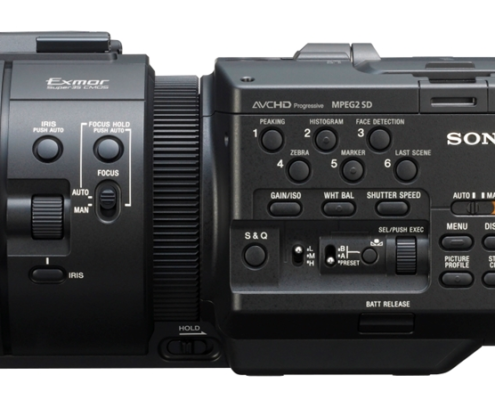 You have the option of recording AVCHD footage onto SD cards, Memory Stick Duo, or the HXR-FMU128 Flash Memory Unit via the FMU port. It can also output 4:2:2 uncompressed HD video via HDMI 1.4 or 3G/HD-SDI to an external recording unit. For enhanced exposure latitude, CineGamma curves, including S-Log2, and 800% 709 gamma curves are available. 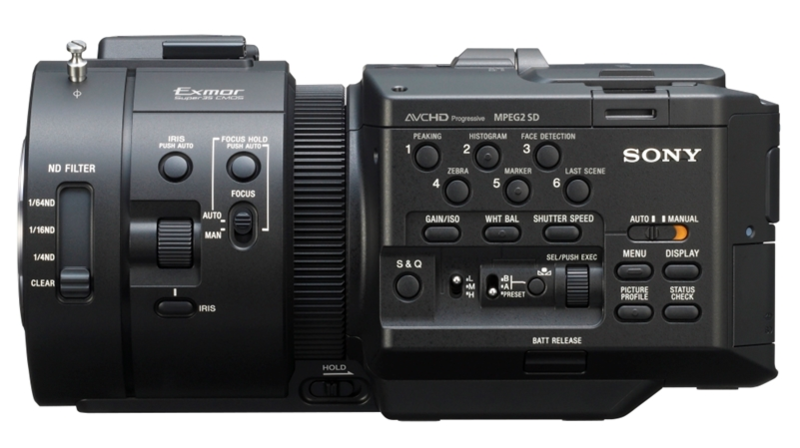 Other features include an ISO range of 320 to 64,000, a shotgun microphone with mount/carrying handle, dual XLR inputs for recording uncompressed, professional-level sound, a 3.5″ LCD panel with detachable with viewfinder attachment, and built-in ND filters.